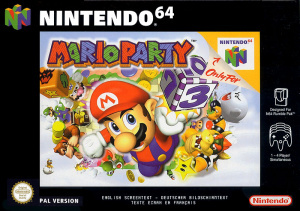 Sorry, no review of Mario Party yet. 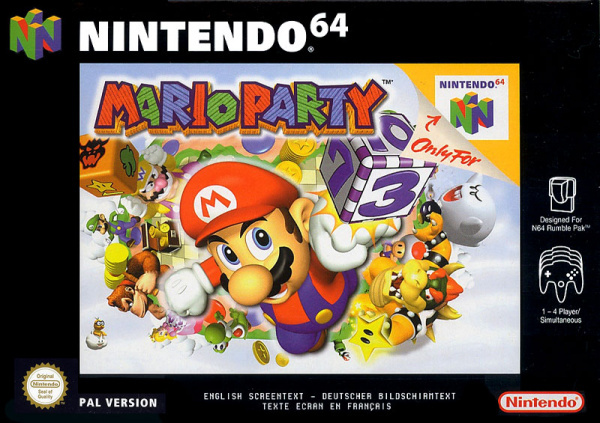 Consisting of 56 mini games (plus 3 hidden single player mini games), Mario Party takes the form of a traditional board game, with players taking turns to roll (hit) the dice block and move ahead the number of spaces shown ranging from one to ten. There are many different types of spaces players can land on, each producing a different effect. The primary objective of the game is to collect more stars than any other player. The winner of the game is the player with the most stars after all the turns have been completed.